Welcome to Week 5 of Thirty Days of Love 2018. For our final message, we’ll close with an ancestor to ground us, art to inspire, and a podcast recommendation to keep us learning. We hope you find these resources and reflections of use to the work you do from your congregation to your community and beyond. This week our theme is Lessons for the Next Season: Praxis. What are we learning from what we are practicing? How do we ask for the feedback we need? How do we share it? How can we practice our values now, among so much that is unideal? 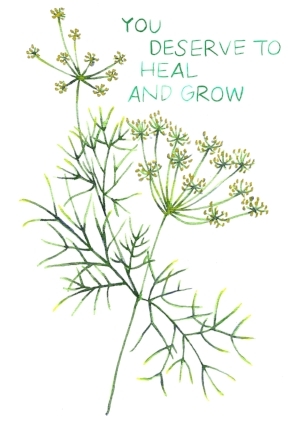 We honor our ancestor Donald Thompson and share You Deserve to Heal and Grow by Katie Blanchard and recommend you check out the Tonic Podcast - Healing Advice for What Ails You. Check out the final few days of the Thirty Days of Love 2018 All-Ages Activities by Rev. Marisol Caballero. The week after next we’ll be back with our bi-weekly spiritual sustenance messages! Praxis is the true test. Can we do it and do it again and hear feedback and shift and still keep going? If you tried a practice for these 30 days, reflect on how that went. What shifted and what will keep going? Praxis is by nature iterative. The actual process by which information is processed, incorporated and adapted often looks like an endless circle of theory informing action which informs reflection - and then deepens, expands or shifts theory. Depending on our personality, our skills, our communities, we may find ourselves more comfortable and equipped with one part of praxis. It’s our belief that teams that having folks skilled at each of these can really help deepen and grow your work. At the end of a harvest, we must gather together the lessons and decide where to go from here. Get grounded by listening in to journalist Anabel Hernández as she lives in the circle of action, reflection and choosing to keep going, despite the risks or stream worship from the UUMA Center Institute led by Rev. Elizabeth Nguyen on practice and building interdependence into our muscle memory. An ancestor: Today we honor the work of Rev. Donald Thompson. A minister and social justice advocate. He acted as the first Director of the Social Service Center in LeClaire Courts, a public housing community in Chicago in the 1950s. He would go on to serve as the minister at the First Unitarian Church in Jackson, Mississippi from 1963-1965. He was shot by the Ku Klux Klan in 1965, surviving and initially intending to continue to serve his congregation recognizing that whoever replaced him might also be threatened. With additional information about the possibility of his targeting, Thompson would eventually decide to leave Mississippi with just a few hours notice because of the threat. The invitation: When we see our work through the lens of praxis, we recognize how iterative our work can be. That as conditions and realities shift, what is needed will be different. And that thorough, deliberate evaluation and shifts can change us, each other and our communities. It has been said that accountability is a gift. How do we create the spiritual resilience to receive feedback with grace and humility while taking concrete steps to shift? How do we cultivate relationships that invite and encourage feedback as a commitment to your shared vision and values? In adrienne maree brown’s Emergent Strategy, she encourages people to invite feedback from a set of people you trust and want to build with. 360 Degree reviews can be a way to invite such assessment. The application of feedback is directly connected to how we navigate conflict, responsibility and transformation with those we are in community with. Check out upcoming webinar on February 20th at 8pm EST with Love Resists on earning trust and inviting feedback as crucial parts of justice partnership. Critical Resistance has been a leading group organizing around a world without prisons for decades that demands praxis from us today. Check out these resources for addressing harm, accountability and healing. The opportunity: Praxis means risking embodying our values under pressure and when we are afraid. And so many of us have so much to be afraid of these days. Many of us find ourselves with no answers going in circles when we ask what tools and resources we have to be more safe. We know that much of what we’ve been taught about safety is shaped by systems of oppression telling us who to be afraid of. And we know that real community protection does not criminalize us or our neighbors. Below is just one offering in response to fears that we’ve heard around congregations facing harm for living their values. We’re so grateful to be alongside during these last 30 days. As the seasons roll on, may we go forward with good soil, water for the drought times, compost for the journey, ready to learn the lessons of the next harvest.